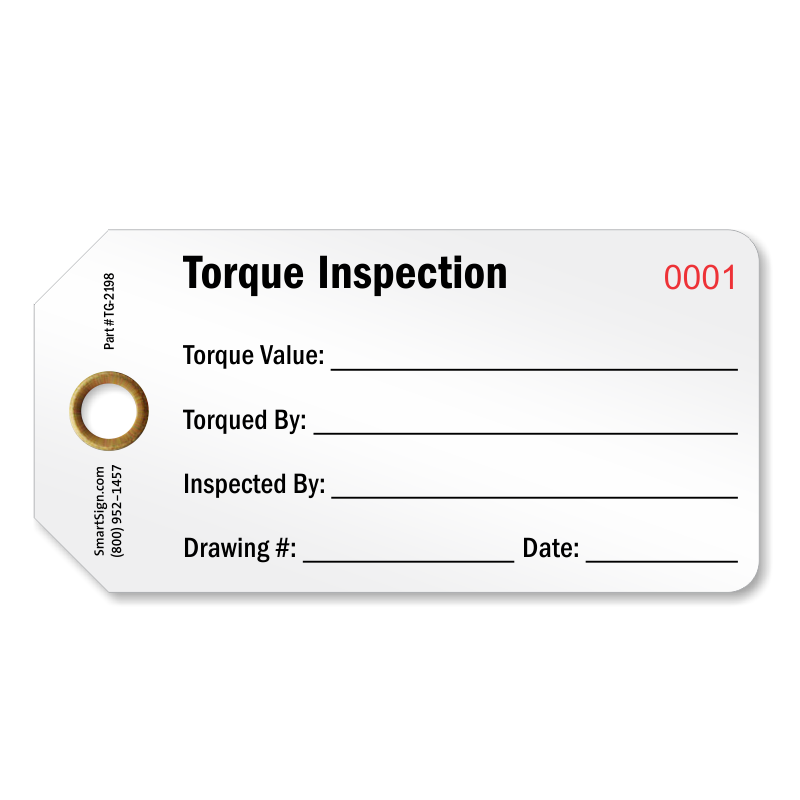 Equipment inspection tags provide a discipline to your periodic inspections and check-off lists. 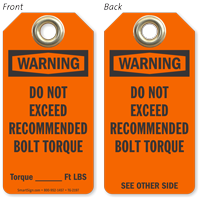 Hang them in a spot that workers will see and readily update. 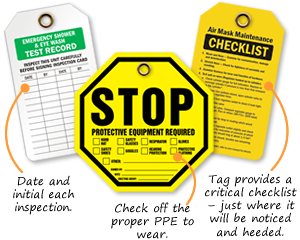 A record that is used alongside of equipment – is mostly likely to be updated and, more importantly, heeded! 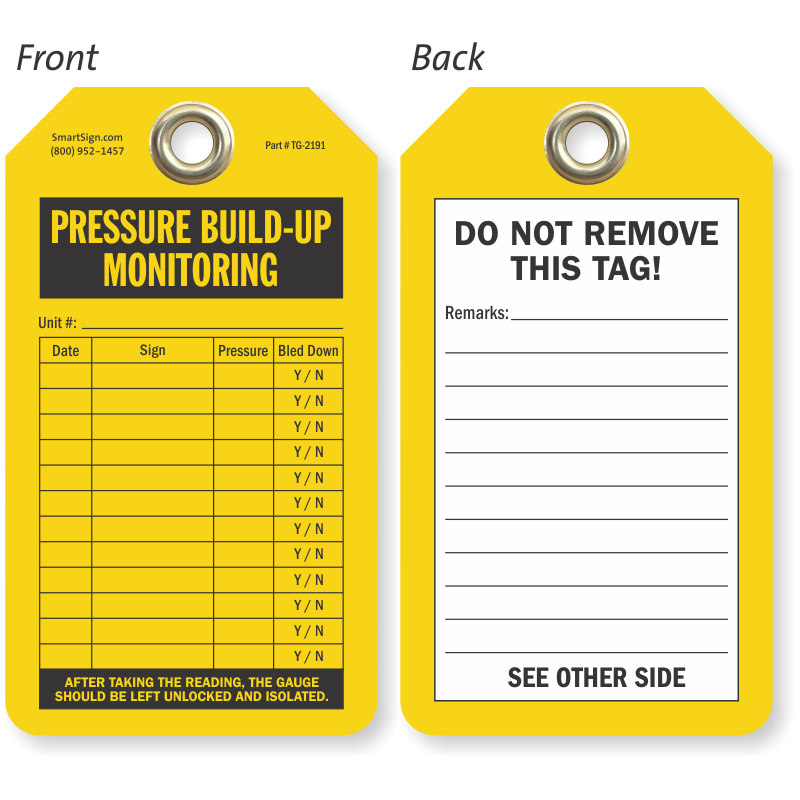 Equipment Servicing Tags remind employees that equipment inspection is a critical component to your safety program and avoid risks that can lead to unexpected or untimely breakdowns when time is of the essence. 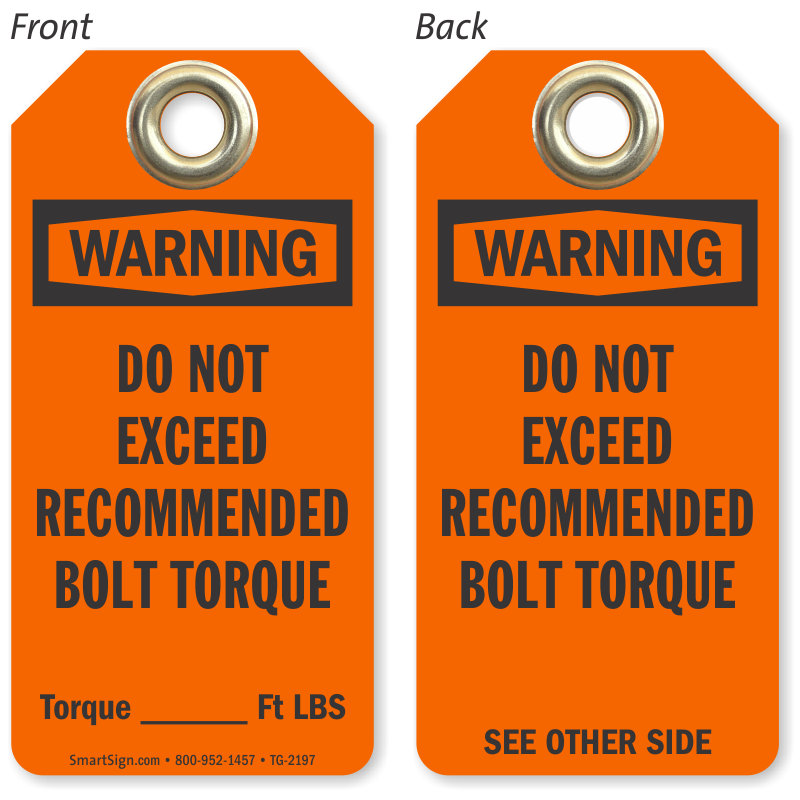 • Equipment Inspection Tags feature pre-printed text on both sides which include inspection and maintenance logs, checklists, or warnings and hazards. 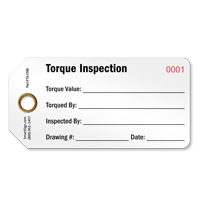 In addition, they include blank spaces for the inspecting employee to sign – confirming that the equipment has been checked. 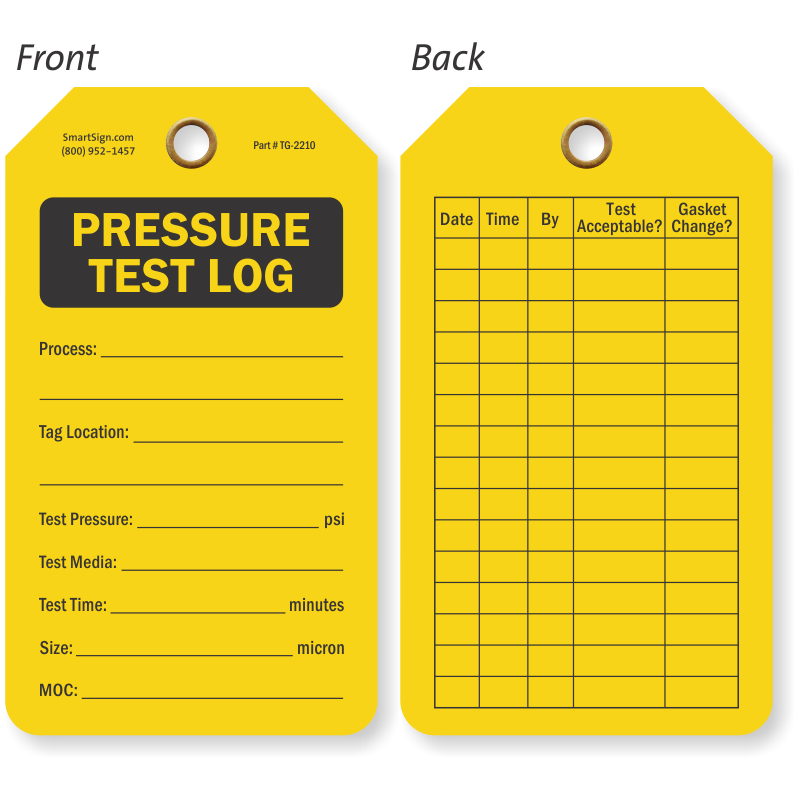 • Available in a host of different materials from our affordable Eco and PF Cardstock tags to our ultra-durable, dirt, grease, and moisture resistant Sealed Plastic tags. 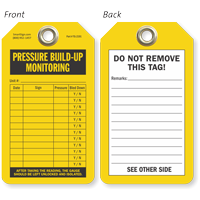 • Can't find the exact equipment tags you're looking for? 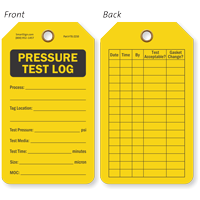 Give us a call and let our Customer Support Team help you find the tag that's right for you.